Satya Nadella turned a tired Microsoft around. Why hasn't his pay kept pace? Despite reinventing Microsoft as a major player in the cloud and server space, the soft-spoken, cricket-loving India-born techie remains one of the most underpaid CEOs in the tech world. Why so? 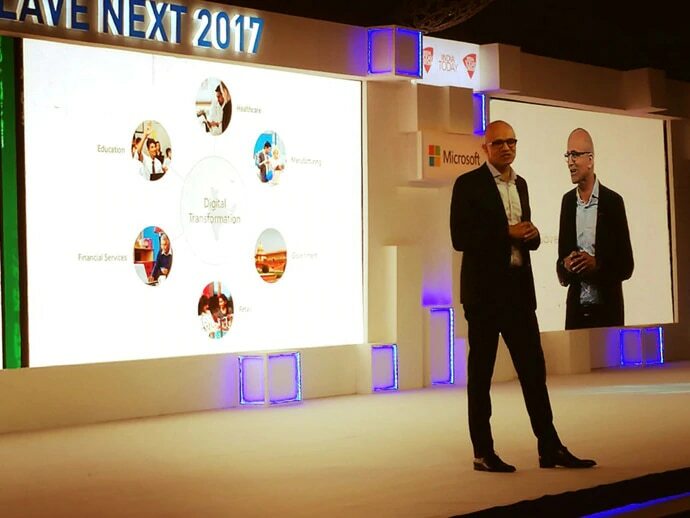 Five years ago, on February 4, 2014, Hyderabad-born techie Satya Nadella took over the top job at one of the biggest tech firms in the world — Microsoft. The soft-spoken, cricket-loving CEO of Microsoft took over the reins from Steve Ballmer – Microsoft's second CEO after its founder and first CEO Bill Gates stepped down at the end of 1999. When Nadella took over the reins of the company, not only was he faced with the serious challenge of turning the fortunes of the company around, but he also faced the intimidating prospect of filling the boots of two of the world's richest men as well. Since then, Nadella has climbed up the ladder one step at a time. He has gone on to become one of the most influential individuals in the world of technology. As for Microsoft, the company under him has only consolidated its position at the table as it has enjoyed stupendous growth with company stock having risen almost 182 per cent. However, despite steering Microsoft through difficult waters and helping it successfully reinvent itself as a major player in the cloud and server space, the soft-spoken cricket-loving Indian still remains one of the most underpaid CEOs in the tech world. Compared to his predecessors, Steve Ballmer and Bill Gates, among the richest men in the world with a net worth of $40 billion and $96 billion, Satya Nadella's net worth is estimated to be a mere $320 million, reports CNBC. But even if you thought that comparing Nadella's net worth to that of Bill Gates and Ballmer, who own substantial holdings in Microsoft because of their involvement in the company from an early stage is unfair, consider the fact that the current CEO of Microsoft doesn't even feature in the top 500 list of the richest men on the planet. In fact, his net worth is less than half of Apple's CEO Tim Cook, and several other CEOs of companies with lower stock growth over the past five years, like Oracle's Mark Hurd ($108.3 million), Walt Disney's Bob Iger ($65.6 million) and 21st Century Fox's Rupert Murdoch ($50.3 million). Why is Satya Nadella not a billionaire already? Considering that he has been instrumental in shaping the fortunes of a close to trillion dollar company, Nadella not being a billionaire himself is baffling! But the $320 million net worth of Nadella could be explained by looking at the latest payout, as disclosed by Microsoft, he received from his employer. Nadella in the fiscal year ending on June 30, 2018 received a mere $25.8 million in total compensation. Now, compare that with the massive payout Tim Cook received for the year ending on September 29, 2018 — the CEO of Apple earned a $12 million bonus for the year and got a $3 million salary and shares worth $121 million from his 10-year stock award, bringing his total for the year to $136 million, along with perks of about $682,000. Given this, it is easy to understand why Nadella is still nowhere close to becoming a billionaire in the coming years. Time Microsoft recognised Nadella's worth! A quick look at the numbers above thus reaffirms the notion that Nadella is grossly underpaid. Now, without getting into the reasons why, what we will say is that this needs to change — and soon. The fact is that the least Microsoft can do to repay the Hyderabad-born techie is to bump up his pay package and give him a payout that reflects the work he has put in for the company. An assertion that former Microsoft CEO, Brad Silverberg also accepts. Speaking to CNBC, Silverberg said, "Whatever they're paying him, it's not enough... I'm really happy with his contributions to the company. Obviously the stock price is one metric, but if you look at the internal culture of the company, people are happy there. People are really proud to work for Microsoft. I think he's done a lot to make that happen." So maybe, it's time the board at Microsoft listens to what one of its former executives is saying — and pays Nadella what he quite frankly deserves. Even if he's too Indian to actually ask for it himself!